~no:To lanterner plassert på toppen av to telefonstolpar. Lanternene dannar eit overrett merke. 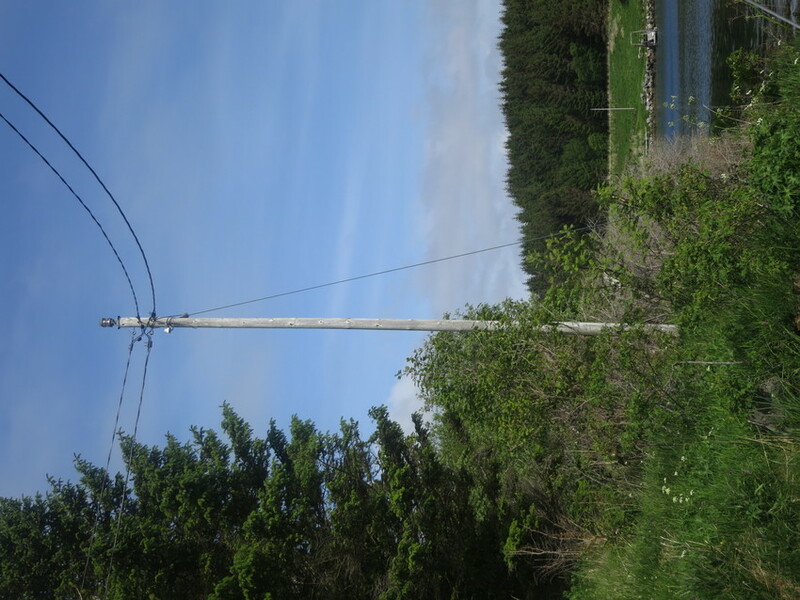 Denne overetten hjalp ferga og seinare skyssbåten å kome trygt til kai.~en:Two lanterns placed on the top of two telephone poles. They form leading lights, which assisted the ferry and later the passenger boat/ferry in berthing safely alongside the jetty.